Koushik Sanyal is a resident of a small town Uttarpara, in the suburbs of Kolkata (erstwhile Calcutta) which is one of the biggest cities in India and capital of the state of ‘West Bengal’. He completed Diploma in Information Technology from DoEACC Society (Currently NIELIT), a government of India run autonomous society dedicated for pertaining training in Information Technology. He has spent more than 11 years in IT professional domain as Trainer, Software Developer and Senior Software Developer. Currently he's working as a ‘Senior Software Developer’ in java domain at ‘Greenfield Software Pvt. Ltd in Kolkata, India. The Yocto Project is an open source collaboration project that helps developers create custom Linux-based solutions for Embedded and IoT systems, regardless of the underlying hardware architecture. In order to develop solutions based on Yocto project, we need to use IDE like Eclipse and Yocto plugin is available for Eclipse which is required to be configured properly. The Open Source Yocto project is a combination of three key development elements. This umbrella open source project builds and maintains validated open source tools and components associated with embedded Linux. Yocto also maintains and validates these three development elements. These three elements are viz. A set of integrated tools to make working with embedded Linux successful, including tools for automated building and testing, processes for board support and license compliance, and component information for custom Linux-based embedded operating systems. Poky, the reference embedded distribution. The OpenEmbedded build system, co-maintained with the OpenEmbedded Project. Provides a recent Linux kernel along with a set of system commands and libraries suitable for the embedded environment. Makes available system components such as X11, GTK+, Qt, Clutter, and SDL (among others) so that user can create a rich user experience on devices that have display hardware. For devices that do not have a display or where user wish to use alternative UI frameworks, these components need not be installed. Creates a focused and stable core compatible with the OpenEmbedded project with which you can easily and reliably build and develop. Fully supports a wide range of hardware and device emulation through the Quick EMUlator (QEMU). Provides a layer mechanism that allows user to easily extend the system, make customization, and keep them organized. 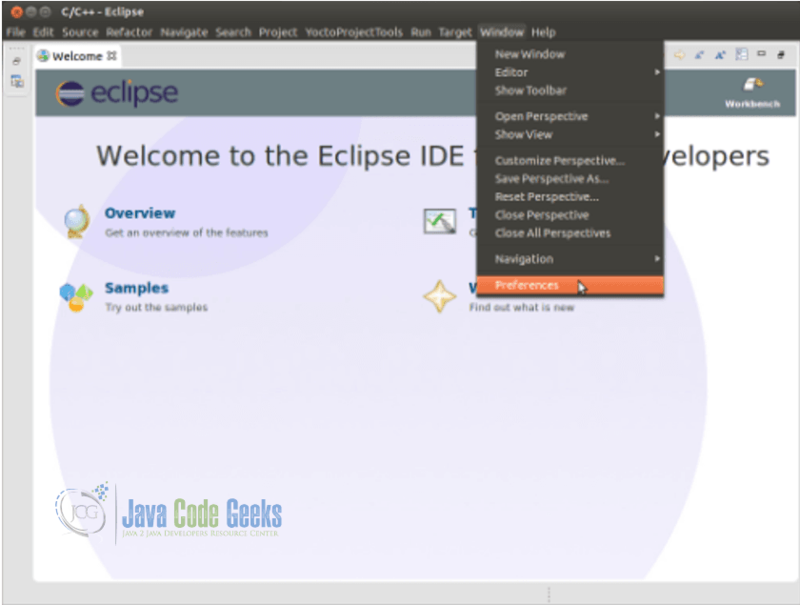 This plug-in enables user to use the popular Eclipse Integrated Development Environment (IDE), for development using the Yocto Project® all within the Eclipse IDE. User can work within Eclipse to cross-compile, deploy, and execute custom project output into a QEMU emulation session as well as onto actual target hardware. The environment also supports performance enhancing tools that allow user to perform remote profiling, tracing, collection of power data, collection of latency data, and collection of performance data. Once user enable the plug-in, standard Eclipse functions automatically use the cross-toolchain and target system libraries. User can build applications using any of these libraries. 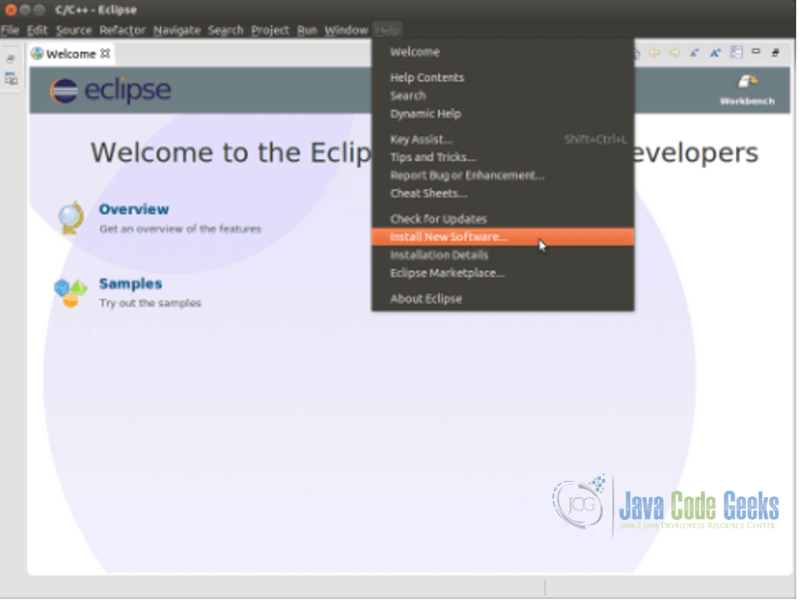 Look for the “Eclipse IDE for C/C++ Developers”, which contains the Eclipse Platform, the Java Development Tools (JDT), and the Plug-in Development Environment. 1. Select a new workspace. 2. 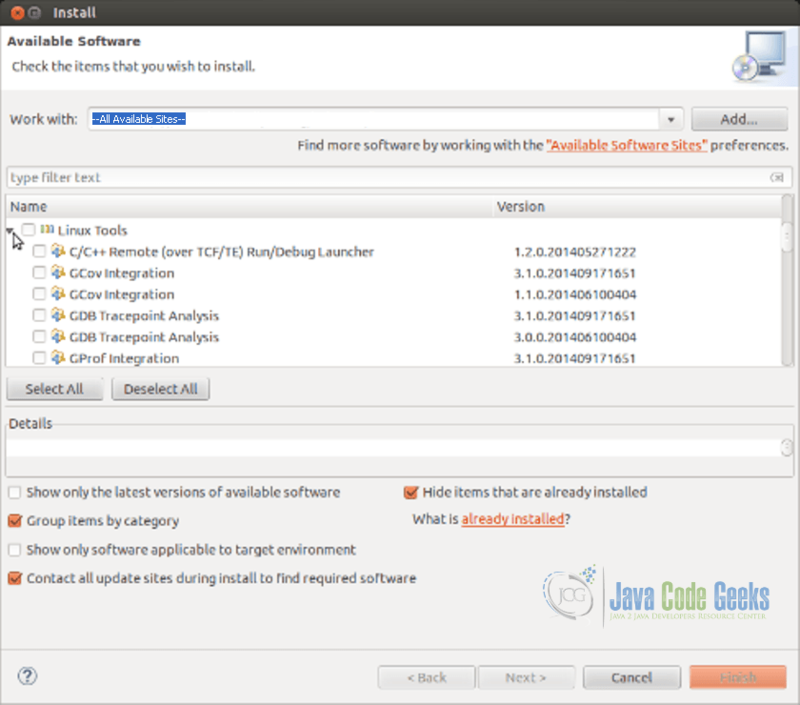 Choose “Install New Software” from the “Help” menu of Eclipse IDE. 3. Choose “–All Available Sites–” from the “Work with” drop down menu. If some of these options are not listed that means that those are already installed. 5. Finish button must be clicked. The selected packages will be downloaded and installed. 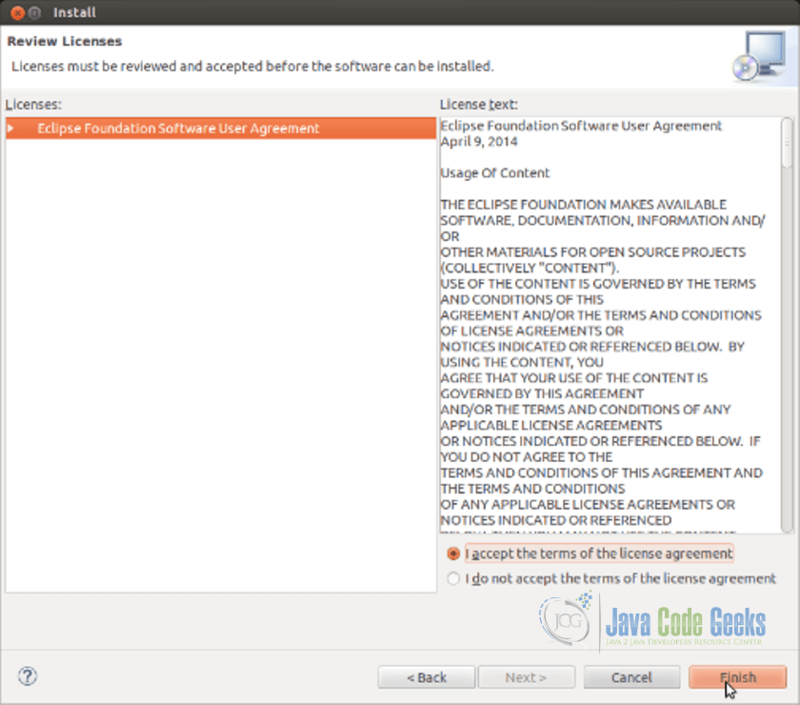 User will be asked to restart Eclipse IDE to finish the installation. 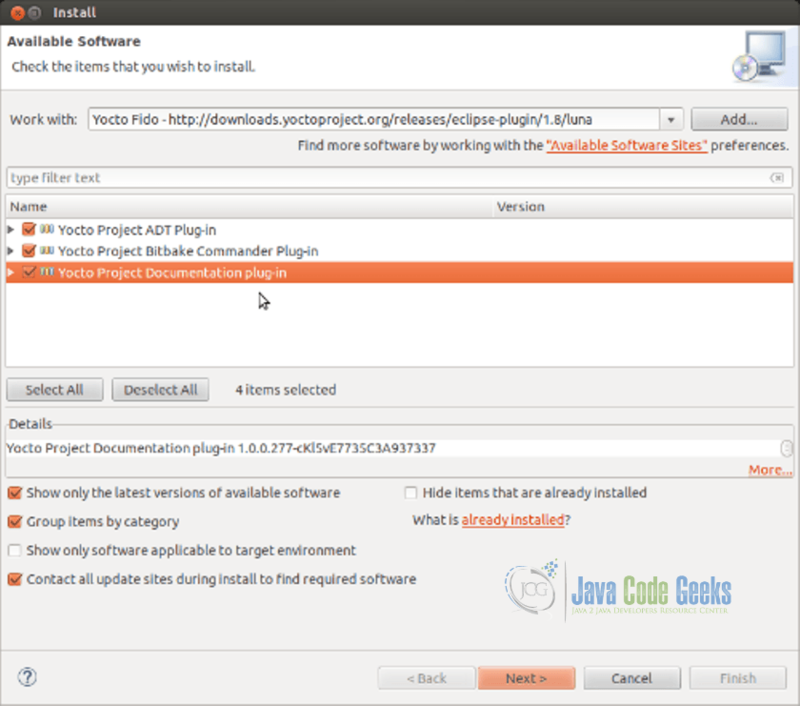 Next step is to install the Eclipse Yocto Plug-in into the Eclipse IDE. Following shows how to install the pre-built plug in. Install these plug-ins and click “OK” when prompted about installing software that contains unsigned content. You may be asked to restart the Eclipse IDE. With all the necessary packages installed user now can configure the Eclipse Yocto Plug-in. 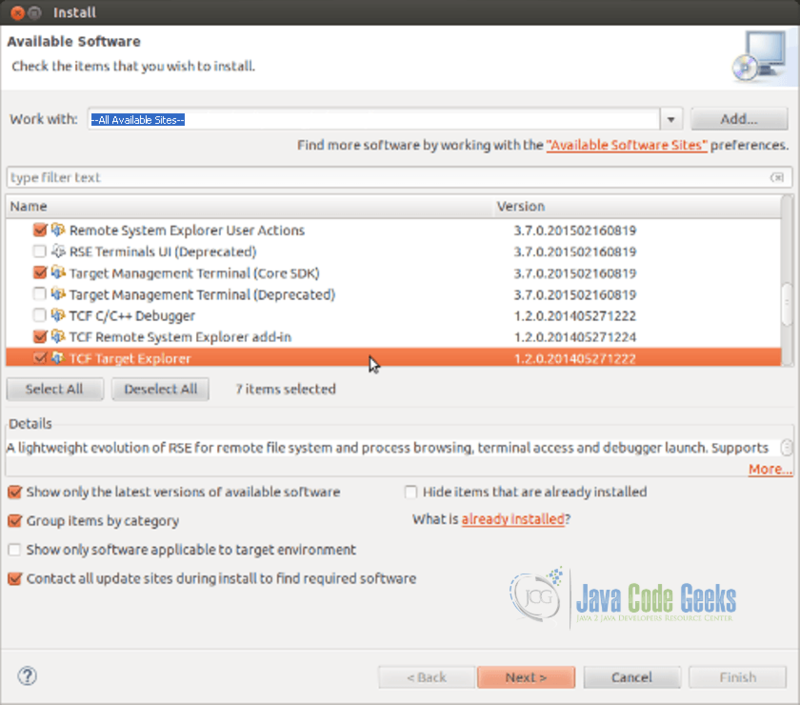 In this steps user will configure the Cross Compiler options and the Target options. These will then be used as default for projects from within your working workspace. 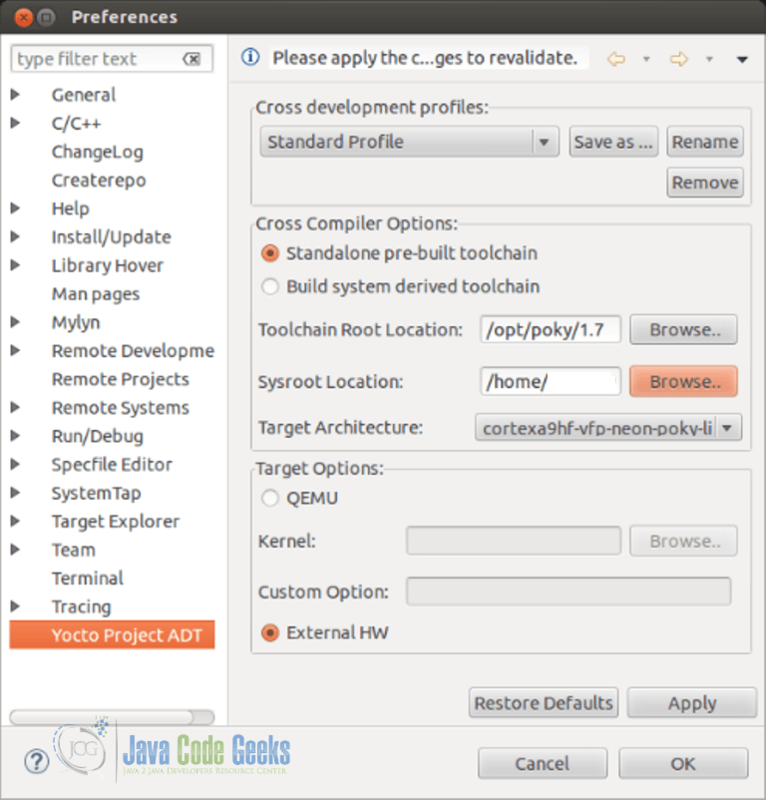 Click on Yocto Project ADT from the left options and then under Cross Compiler Options select the Standalone pre-built toolchain radio button. User needs to point to the Toolchain Root location of installed toolchain. Build the tool chain image. It generates the toolchain that will be installed on user’s host machine and can be used to build any source code. In this case the Tartget architecture would be the Cortex-A9, which correspond to the i.MX6 and which is also the only option installed on the chosen directory. For Target Options we would be using the actual HW in order to test our application so keep the External HW option selected. 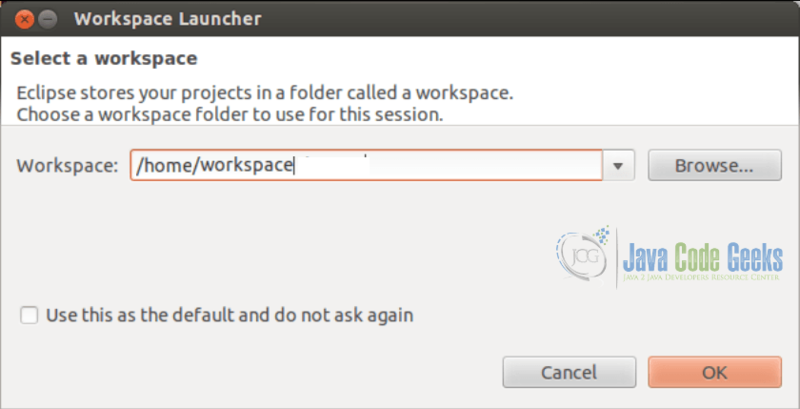 That’s it on how to install Yocto Plugin on Eclipse IDE. Once the configuration is done, Eclipse IDE for which the plugin has been configured, will be ready for further application development for Yocto platform. You can also go through the links shared in this post for further reading.